Biometric Fingerprint Technology | One Finger Solves It All! One Finger Solves It All! 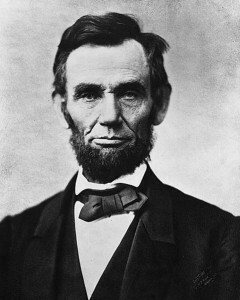 Abe Lincoln noted the importance of letting “the angels of our better nature” prevail. Although people are generally honest, some more than others, certain situations can suppress someone’s honesty and allow the angel of their better nature to be defeated. Different sociologists give different numbers, but the general agreed up percentage is that when people are put in a situation in which they believe they can cheat without being caught, 50% will cheat. Add a monetary incentive to that situation and the number can go as high as 70%. An interesting observation on human nature, but what does it have to do with biometric time clocks? If people know for a fact they are being monitored, the number of potential cheats drops to less than 10%. Biometrics provide that extra incentive to behave honestly. It is insurance for that rare occasion when someone has the thought to duck out early or manipulate your time clocking software to get a few extra hours pay. 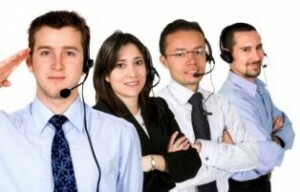 Biometric employee time clock software ensures these ideas don’t become a reality. Once a bit of cheating becomes the reality, it quickly moves to becoming the norm. Think about examples in your life. Have you ever had a naïve teacher? An overly indulgent nanny? A lax camp counselor? Chances are you remember some people who acted less than honestly when given a choice. Concerns about privacy and security have keep biometric systems from being used more widely by government agencies and local municipalities. As people become more comfortable with biometric security, however, that may change. Israel is already beginning to implement a biometric system by which citizens can opt to give two finger prints and a facial scan. The government hopes to use this biometric information database to make it easier and cost effective to identify citizens for the purposes of voting, taxation and other government functions. The program is slated to last for two years, after which its effectiveness will be rated. Some people wonder how effective such a system will be considering it is opt-in, but thousands have already enrolled. Although there is more of a culture of personal privacy in America, biometrics is entering the national debate, first through the Supreme Court and now through the immigration debate. Biometrics may play a part in the path to citizenship, even if that part is as simple as providing an easy way to identify and organize the millions of people making their way down the path to citizenship. Some people see biometrics as the best and least fraud-prone way to identify people. Others, however, dismiss the idea as costly and intrusive. Schools around the country are making use of fingerprint scanners to increase their security and reign in on truants. These devices, which only cost about $30 per student (though this cost can vary depending on a school’s size), make attendance-taking more accurate and save schools money in administrative costs. Finger scanning in the classroom is faster than the traditional roll-call of attendance. It is easy for a friend to yell “present” for someone while the teacher blusters through the attendance list. This is a problem not only in terms of kids missing class, it can be a safety issue too. If a child is missing, the school needs to know as soon as possible, and a finger scanner allows for that. Scanners also allow for tighter control the of teachers and staff, ensuring no one is entering the school under false pretense. Schools are only starting to make use of fingerprint time clocks. The future may see the practice extended to parents entering the school, school buses and more. It is hard to argue with a technology that saves money and allows a safer environment. Some parents have, however, raised concerns about privacy and how fingerprints and other recorded information are stored and shared. Being completely honest, how many times do you notice employees taking a break? How often do they come in late? do you want to have specified rules enforced in the employee time clock software so that you have an accurate reading of the time spent on work? One of FingerTec’s newest features is a makeover on the clocking schedules. This update breaks down all of your options so that it’s easy to navigate adjustments. For example, the “Tolerance” tab deducts the amount of late time into work from the schedule, early time out from the schedule, time spent not resuming work, and early lunches. Human error happens. sometimes our watches aren’t always accurate. Sometimes you can’t help having to come in a little late or a leave early one day. Life happens, what are you going to do about it? At least with this feature you can have the system automate your employees schedule to give you an accurate reading of where the time is being lost. Other features include “Auto Add Break Rule,” which helps keep track of necessary breaks during the day. It, too, prevents inaccuracies in the shift reports. The automation and rule additions to the software make tabulating the shift report much easier. After all, theattendance system should be easy to read and navigate. If you’ve ever watched The X-Files you probably noticed that although agents Scully and Mulder are not cleared for higher level security they always manage to break in and get evidence they were never meant to obtain. If you had a show like that now, the premise could probably never work. Either that or they’d have to get more inventive. see, had there been finger scanner technology in the buildings with the super secret conspiracy files, The X-Files would have to feature episodes where the two super sleuth alien investigators try valiantly to break in only to go home defeated and settle for watching episodes of Jeopardy. That’s not very entertaining to watch, but at least we’d think more highly of the security system responsible for national security. Biometric technology scans intrinsic physical or behavioral traits of people. The most easily identifiable features that also happen to be the most unique are the fingerprint and the eye. Each person has a different pattern. It is for this reason a fingerprint door lock is a much safer system to have in place. It’s a great product for businesses, hospitals, and security facilities of any kind. “My baby takes the morning train. He works from nine to five and then, he takes another home again…” You’ve heard the song. Well, what if you didn’t really know if your baby was working nine to five, hmm? And just maybe his boss has the same concern. That’s how employers sometimes feel when they don’t have an efficient clock in and out system. Sure, there’s some idea of who’s on time and who’s consistently late, but when your employees fill out their timesheets and the numbers just don’t match the amount of work you start doubting the efficiency of the system. What if there was something you can use to keep track of everyone that was foolproof? There is! 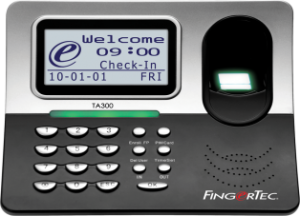 FingerTec employee clock in software uses state of the art technology called biometrics to scan and remember each employee’s fingerprint. Now you have complete control of your kingdom… er, enterprise. It is a great thing to have. It keeps employees on time and (hopefully) motivated to come in every day as they’re supposed to. The added benefit of having the finger scanner is that nobody can fake for anyone else. Of course, if you work in a very high security facility, though, you might even want to consider the face recognition technology. These are brilliant because you not only want to keep track of when someone is entering and exiting butwho is entering and exiting the workspace. Now we use fingerprint reader software to keep track of individuals. It’s quick, easy, and all very science fiction kind of awesome. But, before we had this amazing technology to do the work for us, somebody had to keep tabs. These fingerprint recorders needed to know the ins and outs of fingerprint classification. They were masters of their craft. Fingerprints can be classified by pattern types. There are two types of loops, common and radial, arches, whorls, and composite mixes. From there fingerprints are differentiated by any incomplete lines, disruptions, and peculiarities in the patterns. It would take a long time to get each fingerprint stamped, marked and analyzed. Now it’s not an issue because a fingerprint scanner can recognize previously recorded fingerprints. It saves a lot of work and the chances of an accurate reading are much higher. Given that before scanner technology, fingerprint analysis wasn’t used to track employee time schedules. That’s what makes this technology so incredible. It’s taken analysis and made it useful for many other purposes. It’s great asemployee time clock software. There’s no way to fake a sign in or sign out unless you’re a techie nerd with skills. It opens the potential for reader software in the future. I love watching spy movies and spy shows. If only I was smart enough to learn 10 languages and have a genius IQ, I’d be working at the CIA in a heartbeat. But of all the government agencies, the CIA is the most discreet and the most elusive. If you’re working a simple desk job there, chances are you’ll just have to show an ID badge to get into the building and to your office. But the higher your clearance level, the more elaborate the system. You’ll need your special badge, a finger scanner, and a face or retinal scanner. Obviously I’ve never been inside CIA headquarters, but with five years of watching Alias under my belt, I can make a good educated guess this is what security is like. When it comes to classified government buildings, there is no room for error. This buildings are on a tight lock down. Now FingerTec can’t provide you the crazy system of the CIA, but we can give a face recognition system along with other state of the art employee clock in software –which is perfect for any office. Be safe and secure and avoid spies infiltrating your office.